Think daylight would look great in your home, but not sure where to start? Take the first step with a free, in-home consultation. During this educational, no-obligation session, one of our knowledgeable Certified Installation Consultants will listen to your needs, recommend a customized lighting solution, perform a feasibility check, and provide you with a no-hassle quote. At Music City Daylighting, we’re ready for anything. That’s why our factory-trained Certified Installation Consultants carry the full line of Solatube products on their vans at all times. Want to get your new daylighting system installed today? We can do that. Eager to see all your Solatube Decorative Fixture choices? We can do that. Hoping to upgrade your system with a Daylight Dimmer? We can do that. We at Music City Daylighting are proud of the competitive pricing we are able to offer our customers. Yet we recognize that each application or installation is unique and based upon the home structure. We would be happy to discuss pricing with you over the phone when we can gain an understanding of your individual requirements. Please call (615) 679-9113 for our competitive pricing. Please call (615) 679-9113 for Free Consultation. Please call (615) 679-9113 Free consultation. 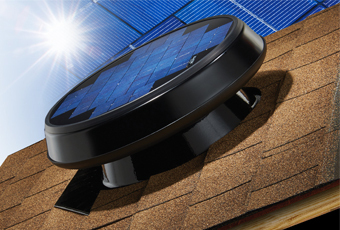 Take advantage of the 30% Federal Tax Credit on our Solar Star Attic Fans. The full 30% Tax Credit ends in 2019, so get yours today and start saving! We believe good service is all about trust. That’s why we offer a 5-year warranty on our installation services. (3 years on tile-metal roofs) If anything goes wrong during that time as a result of our work, we’ll be there to fix it right away. Same goes for your Solatube product. If it stops performing like you expect due to defects in workmanship or materials over the 10-year warranty period, Solatube International, Inc. will repair or replace it…guaranteed.